Leading manufacturer and supplier Morris Site Machinery is celebrating impressive sales growth so far in 2018, with overall sales across the business up 41% on last year. The positive figures follow an intensive period of targeted investment into research and development, which has borne fruit with the company’s innovative and diverse lighting range and energised UK and overseas sales strategies, led and delivered by a dedicated and driven team. 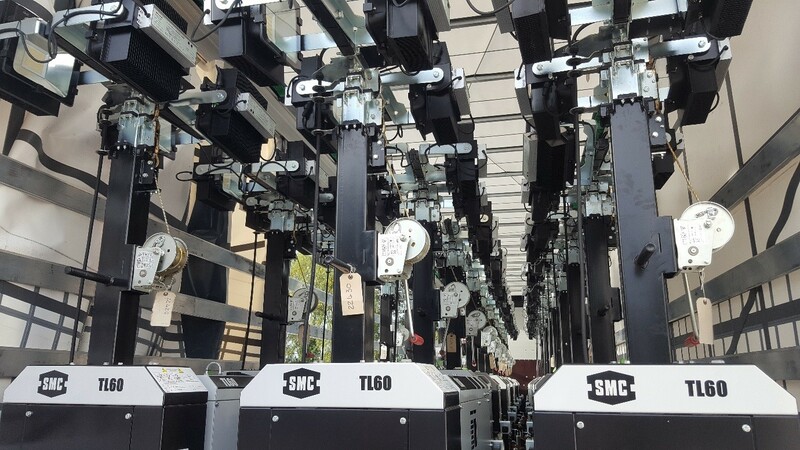 This year’s lighting season has seen an 83% YTD rise in sales with customers placing orders earlier than usual for the SMC range of reliable mobile lighting towers with their industry leading reputation for quality and endurance, along with impressive sustainability credentials. The business has also been boosted by the success of trusted brands Denyo generators and ArcGen welders in 2018 recording a 277% increase in sales of Denyo generators year to date and ArcGen welder sales up 241% on last year. “We’ve worked hard and continued to invest in the business over the past few years, adopting a tenacious strategic approach to achieve this position. It is therefore encouraging to see the increased sales recorded so far this year and a buoyant pipeline in front of us. “I believe our current position is due to a combination of factors and investment in product development has seen us bring to market our most comprehensive lighting tower range to date. Having the right machines underpinned by the SMC credentials has secured increased appeal within the industries we serve. We have an established brand that is trusted and proven in the market, a tenacious team behind it with market-leading expertise in design, manufacturing and sales.